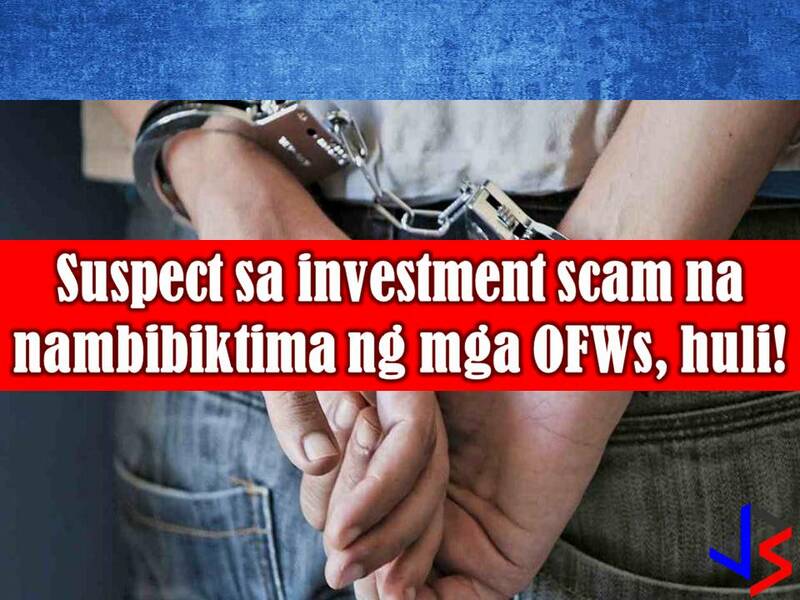 The man behind alleged investment scam was arrested by police authorities in Barangay Muzon, San Jose del Monte Bulacan. The suspect is identified as Sherwin Piramide, who according to GMA report, amassed P30 million pesos. Majority of his victims is said to be Overseas Filipino Workers (OFWs). According to Police Superintendent Fitz Macariola, chief of police of San Juan del Monte, Bulacan Police, it's been awhile since they are receiving complaints against Piramide because of an alledging investment scam. His modus operandi is to encourage his victims to put investment in his housing project business and promise 10 percent revenue each month. But the suspect disappeared after he received money from his victims. Most of his victim is said to be OFWs. Based on the police investigation, the suspect collected around P30 million in the said investment scam. The suspect, Piramide is now facing large-scale estafa from different courts. According Piramide is he is ready to face complaint against him. The San Juan del Monte Police is urging victims of the suspect to go into their office to file a formal complaint against Piramide.